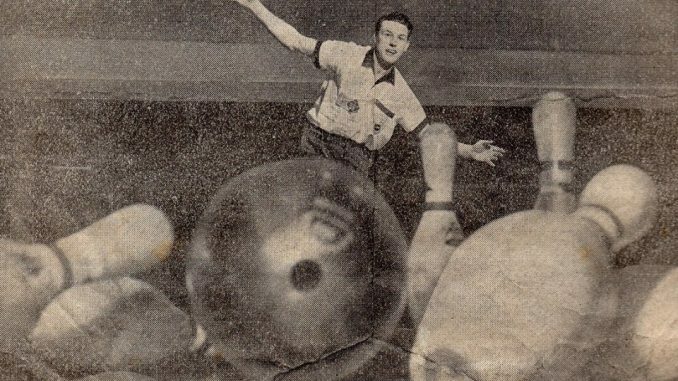 Over the next few weeks we will be issuing ranking lists for bowlers from the different eras. The rankings from the different eras reflects the development of the Sport in the UK with much greater opportunity given to bowlers from the later eras compared to the earlier ones. 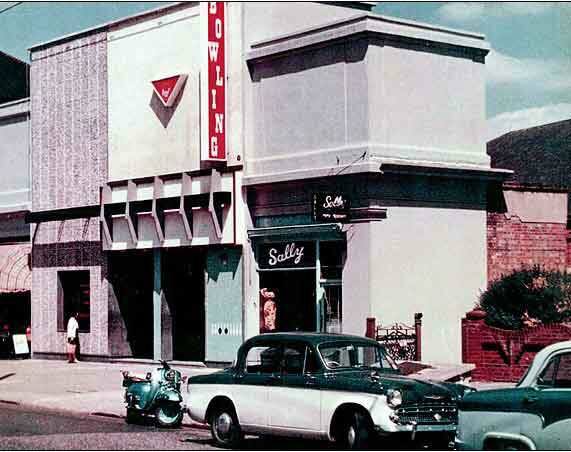 The start of Tenpin Bowling in the UK with rapid expansion from the first centre opened at Stamford Hill (Pictured) and heavy promotion from the proprietors and both manufacturers AMF and Brunswick. 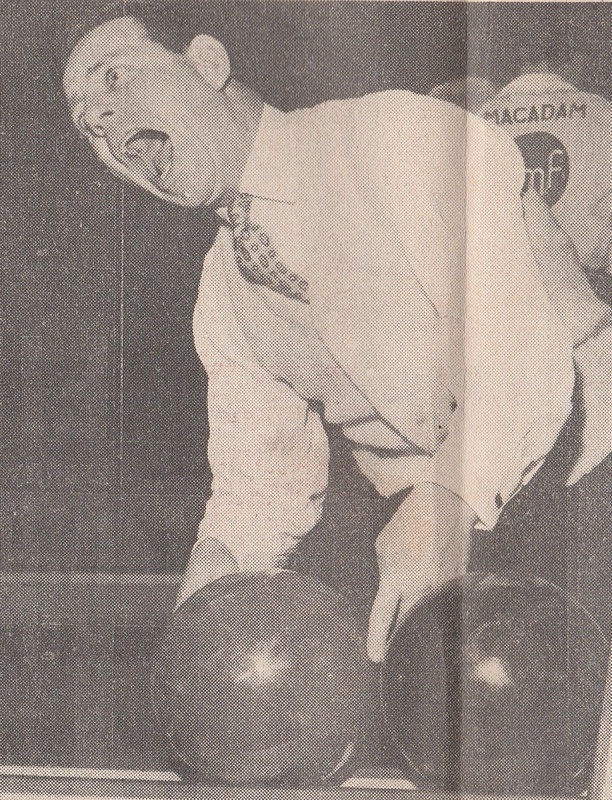 Many top names from the movies, TV and sport opened bowling centres including Douglas Fairbanks jr, Freddie Truman and Norman Wisdon (Pictured below). There was some TV coverage in the early days with a few events saved for time by British Pathe. International tenpin bowling – England versus Italy. Dagenham, Greater London. Most tournaments were team events and records are very scarce. Not easy to tell if events were scratch or handicap. The BTBA National Championships started and International Matchplay became a fixture on the calendar. A number of printed bowling magazines were around such as Tenpin Pictorial, The Bowler, Brunswick Centrepin and Tenpin Monthly. 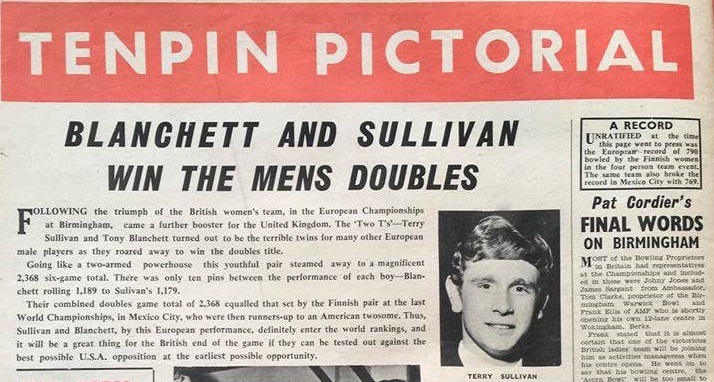 1965 was the year Britain won their first European medals as Tony Blanchett and Terry Sullivan took doubles Gold then Rhodda Brewer, Gillian Hunt, Sue Bland, Muz Budge, Pip Care won the ladies Team Gold. To cap off a great championships Tony Blanchet claimed a Masters Silver medal. 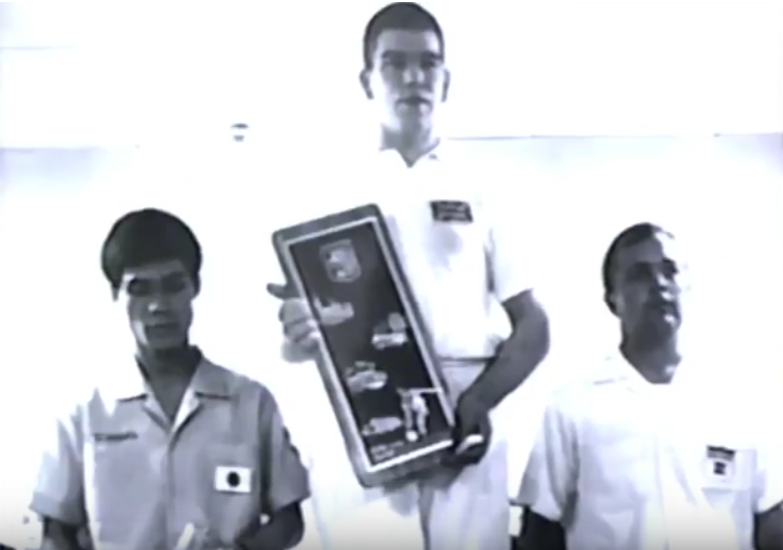 1967 was the year Britain won their first World Championships medals as Great Britain’s David Pond (Pictured) at just seventeen years old won Doubles Gold with Jez Morley then won the Masters. He also collected a Bronze in the team event and was inducted into the UK Tenpin Hall of Fame in 2016. How many names do you remember and have you any further information?